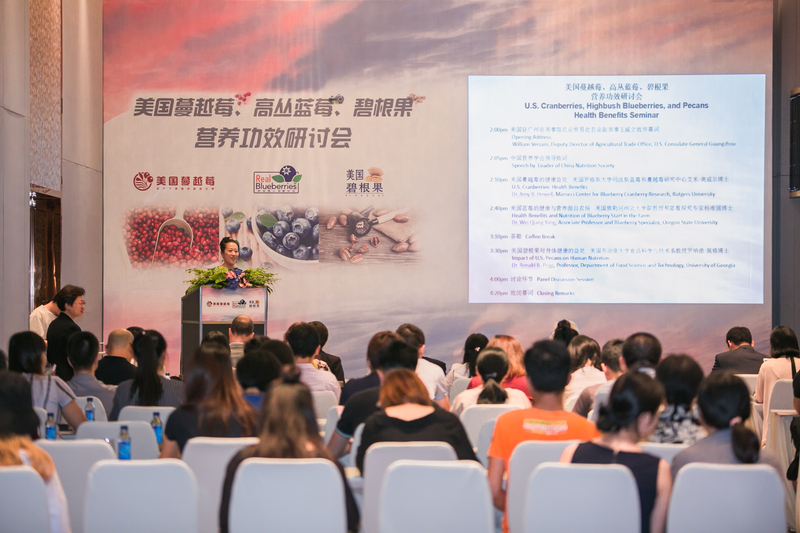 The 2017 U.S. Cranberries, US Highbush Blueberries, and US Pecans Health Benefits Seminar Series was held in Shenzhen, Chengdu and Shenyang between September 13 and 18, 2017. These seminars were sponsored by the USDA's Global Broad-Based Initiative (GBI) Program. Ms. Sun Jingdan, President of Shenzhen Nutritionists Association was also invited to give the welcome remarks. During the tea breaks in all three events, the guests were served with delicious and very nice looking deserts, snacks and beverages prepared specially by the various hotels’ chefs using cranberries, blueberries and pecans. The guests who attended the seminars not only showed a lot of interest in the products’ versatile applications in food preparations but also high levels of involvement during the seminar. Many questions and comments were raised during the Q&A sessions, focusing on such topics as production in the US, global market prices, and research findings about the products’ nutritional values etc. A total of 210guests, including importers, distributors, bakers, retailers, food service and procurement managers, food scientists, nutritionists, dietitians, health workers and journalists etc., attended the events in the three cities. 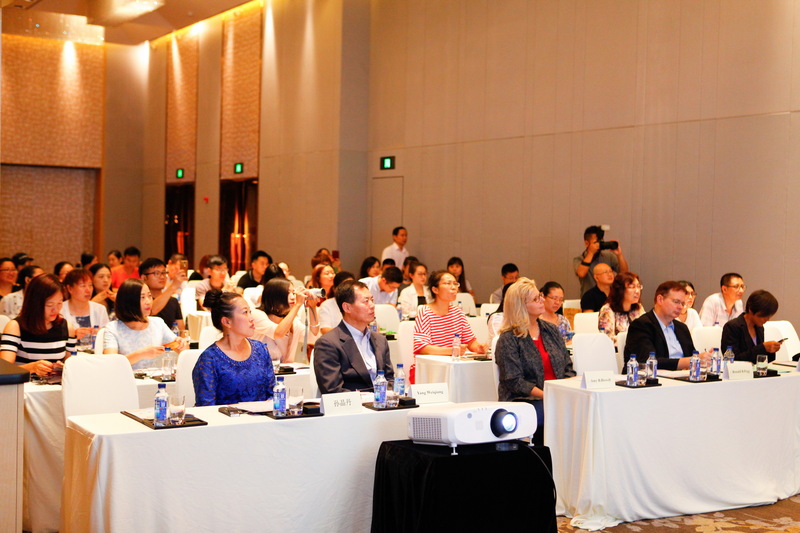 This year, CMC collaborated with Chinese Nutrition Society (CNS) in holding three sessions of GBI seminar. CNS assisted by recruiting their members including food scientists, nutritionists, and dietitians to attend the seminars, who are the exact targeted audience. CNS is a multi-disciplinary professional organization dedicated to research and the application of the best nutrition practices for the promotion of human well-being and the prevention of diseases. Currently, CNS has over 18,000 members in 31regional societies across China. The president of Shenzhen, Chengdu, and Shengyang chapter were also invited to give a welcome remarks to support the seminar.